Like most Americans, Elder Price (Kevin Clay, center) and Elder Cunningham (Conner Peirson, right) couldn’t find Uganda (represented by Monica L. Patton, left) on a map in The Book of Mormon. Photo by Julieta Cervantes. As our performing arts editor likes to say, we don’t do missionary work “that way” anymore. It would be terrible in real life to have a set of missionaries and circumstances like those in The Book of Mormon, but seeing this farce of a fantasia play out on stage is tons of fun. Fantasia is an apt comparison, come to think of it. In the original version, there’s a splendid dance with hippo ballerinas being abducted by Slavic-dancing crocodiles. Trying to read that piece as serious commentary would be a grave mistake, and at the same time The Book of Mormon shouldn’t be viewed as a serious commentary on the Church of Christ of Latter-Day Saints. It’s definitely a satire of the Mormon church, though, and a pretty hilarious one. It’s one of the best scripts and well-tuned shows of recent years, and after all these years still a “buy your tickets months in advance” show if you’re going to New York. Here in the Twin Cities, we’ve gotten to enjoy the show several times through the Broadway national tour, which continues to feature a strong cast. 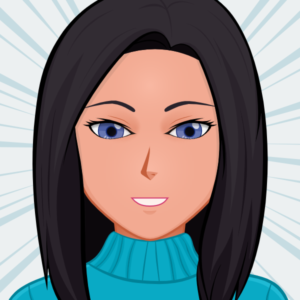 Millenials like myself sometimes need a little prodding to get some of the references (mostly in “Spooky Mormon Hell Dream” – the fact that the Kardashians’ celebrity stems from the O.J. Simpson trial passed over many of my girlfriends’ heads), but you don’t have to recognize all the musical quotes and sly references to have a great time. You might blush a little quoting the show, though. 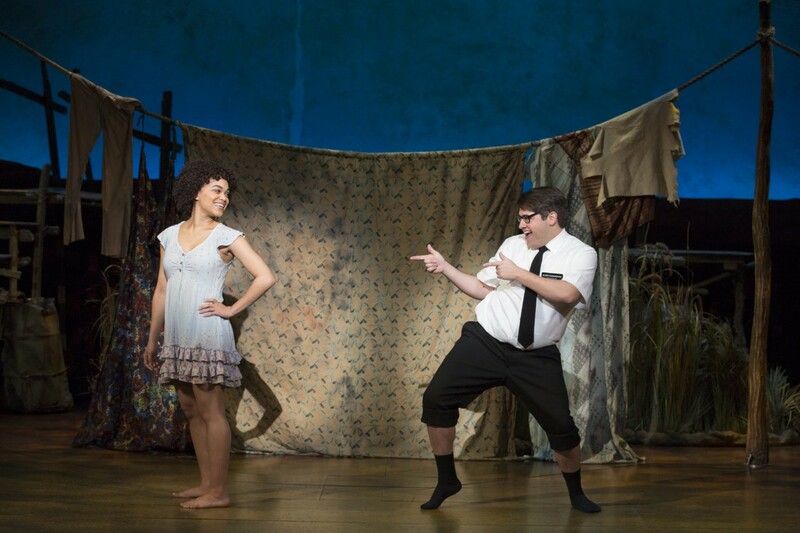 Missionary positions: Kim Exum and Conner Peirson in the national tour of The Book of Mormon. Photo by Julieta Cervantes. For me, the best moment in the show was not the high-octane “I Believe” but the effusively cute “Baptize Me”, which really puts a sexual twist on the old church tradition. Peirson and Kayla Pecchioni’s Nabulungi are simply delightful in their scenes, but especially in this song. Andy Huntington Jones’s turn as Elder McKinley in the number “Turn It Off” was another notable performance in a fast-flying evening. Demented humor is the law of the stage, and you’d be hard-pressed to find a show half as dementedly hilarious as The Book of Mormon. The Book of Mormon plays through November 18 at the Orpheum Theatre in Minneapolis, MN.